ESIC is one of the few clinics in Edinburgh to offer Ultrasound (US) imaging in the rehabilitation of the core. Back pain and injury change how the core muscles work. This can result in a chronic pain cycle, poor athletic performance and after pregnancy it can limit the recovery of the pelvic floor. Once this cycle has been developed it can become very difficult to reverse. 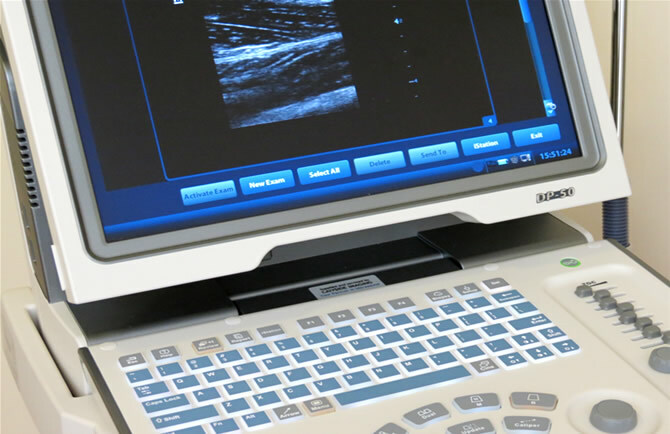 Real time US is used to scan the core muscles so that the timing and development of strength can be seen and monitored. This visual reinforcement of the correct timing of the muscular contractions allows for a more effective and faster recovery.